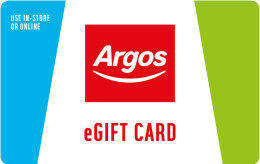 This eGift Card can be used as full or part payment in Currys, Currys digital and PC World stores in the UK. 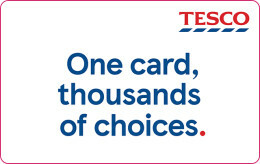 The balance of this eGift Card can be checked at www.dixonsretail.com/giftcards, in any of the aforementioned stores or by calling 0800 897 163. If upon 2 years no credit or debit has been made to the eGift Card, it will expire and any balance will be deducted. Treat this eGift Card as cash and safeguard this card accordingly. 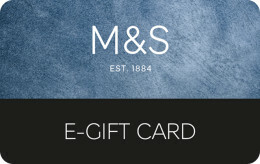 Unauthorised use of the eGift Card will not be reimbursed. eGift codes are activated 15-20 minutes after they are delivered so you may experience a delay if you attempt to redeem the code as soon as you have received it. To stay on the ball with modern technology, Currys PC World is all you need! With appliances big and small, for the home and to take with you on your daily adventures, treat someone to a Currys gift card and you’ll be putting them in touch with the new age! Always wowing the public with its grand array of laptops and desktops, now you can go further with your hobby or work when you tune in to innovative notebook designs, tablets and more. 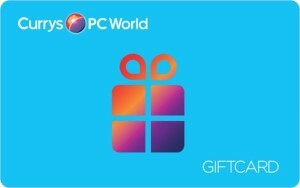 With a PC World gift card, your family member or friend could make a real investment. For the home - shop sturdy kitchen goods like fridge freezers, or small appliances such as toasters, kettles and more too - Currys PC World really has a fully stacked catalogue. Proudly presenting the best in entertainment products as well - find outstanding TV sets, gaming goods, audio equipment and more - everyone can find their joy at Currys PC World. Please print out this eGift Card and take it into your nearest Currys, Currys digital or PC World to use as full or part payment for goods and services. Please show your eGift Card code on your mobile phone in any Currys, Currys digital or PC World to use as full or part payment for goods and services. Please visit www.currys.co.uk choose your product(s) and enter your gift card code and PIN at the checkout to use as full or part payment for goods and services. eGift codes are activated 15 minutes after they are delivered so you may experience a delay if you attempt to redeem the code as soon as you have received it.